Photograph depicts an unidentified young man. Photograph depicts an unidentified male Sylvester family members. 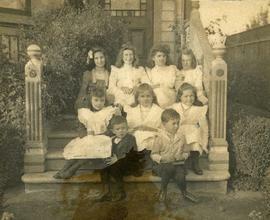 The photograph was found in the Macrae album. Photograph depicts Boozie Deezik (Ben Dayson) with an unidentified adolescent boy. 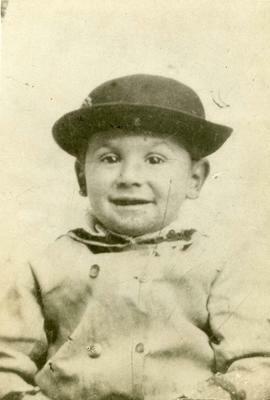 Black and white image of a boy, possibly Harry Seidelman, in a suit, standing on outdoor steps, possibly at Grandview School. Corners at top are torn off.